LEGOLAND Discovery Center Philadelphia is seeking young LEGO fans from the local community to apply to join their "Creative Crew," a group of children aged 6-12 who will participate in fun activities, special events, and assist the attraction's Master Model Builder. 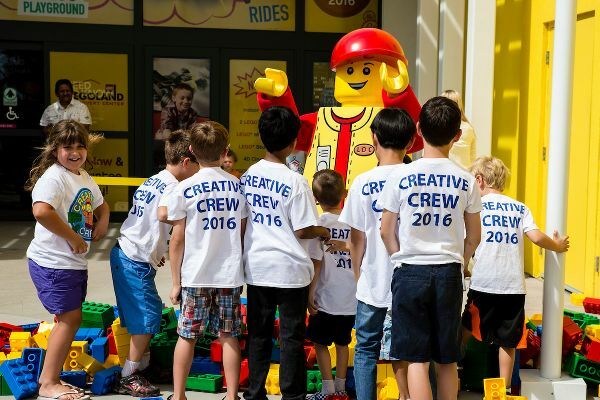 The Creative Crew is our Master Model Builder's team of helpers! Creative Crew kids get to attend fun and exciting events, such as our grand opening media preview event. Creative Crew members also serve as special ambassadors leading up to the Center's grand opening and beyond, building and testing new models for events, reporting on what's new and sharing top tips on everything at LEGOLAND Discovery Center - from the best seat in the LEGO 4D Cinema to how to get the highest score on our LEGO-themed ride. We are hosting a contest from January 11 to February 5, 2017 to find our Creative Crew members! 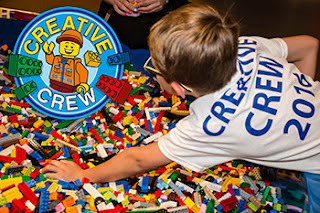 Interested children must build an original LEGO model and post a :30 video on Facebook or Twitter showing off their model and answering the question, "Why should you be in the Creative Crew?" You must include #PhillyCreativeCrew in the Facebook or Twitter post to enter your video. 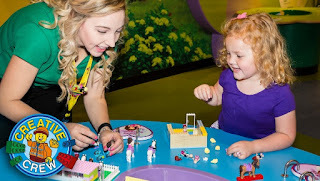 Submissions will be evaluated based on the creativity and enthusiasm in the child's response, along with the imagination conveyed in the child's LEGO model. Points will also be given for social engagement, so share your post with family and friends to get likes or re-tweets on your video post! Disclosure: I am posting this information as a member of US Family Guide.